Swimming with Wild Dolphins has been described as one of the most thrilling, magical, and in some instances life changing experiences. 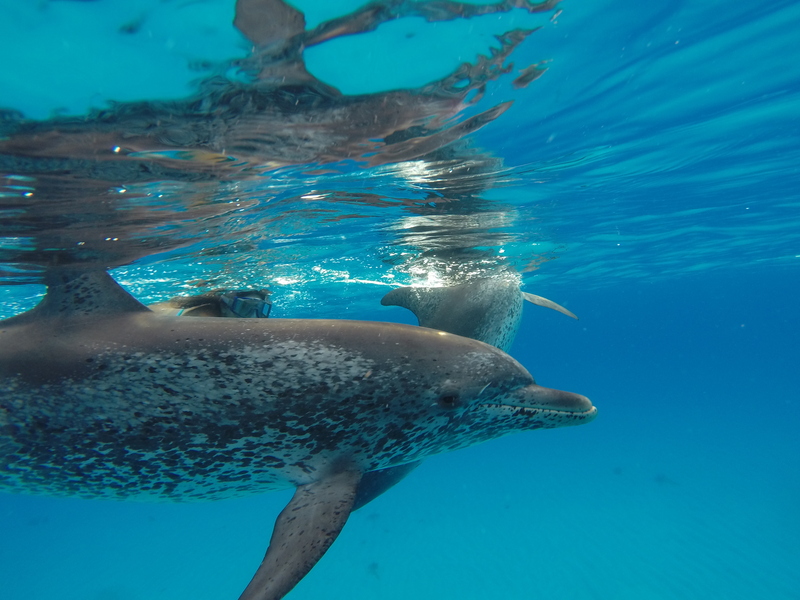 Bimini is one of only five places in the world where people can consistently have the experience of interacting with Wild Dolphins. 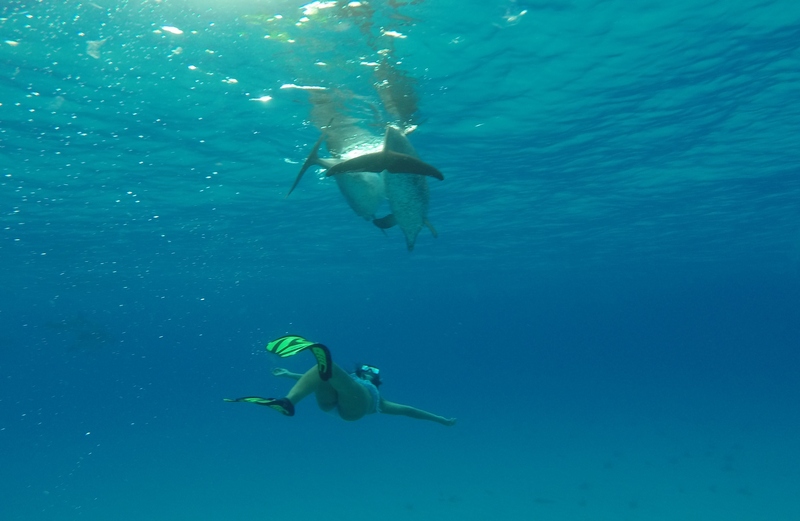 Our Wild Dolphin Adventure gives you the opportunity to have this exciting encounter. 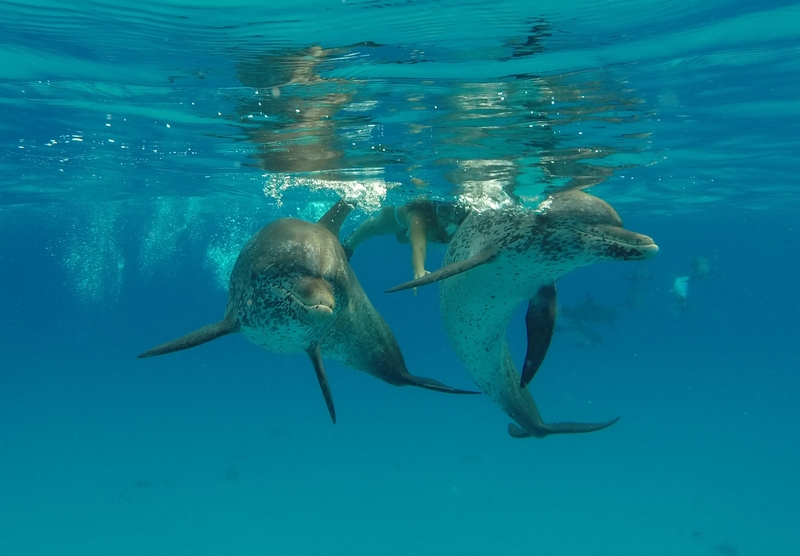 On our excursions, guests are brought out to Bimini’s Wild Dolphin Grounds for an unforgettable opportunity to view, swim, and interact with a resident population of Wild Atlantic Spotted and Bottlenose Dolphins. 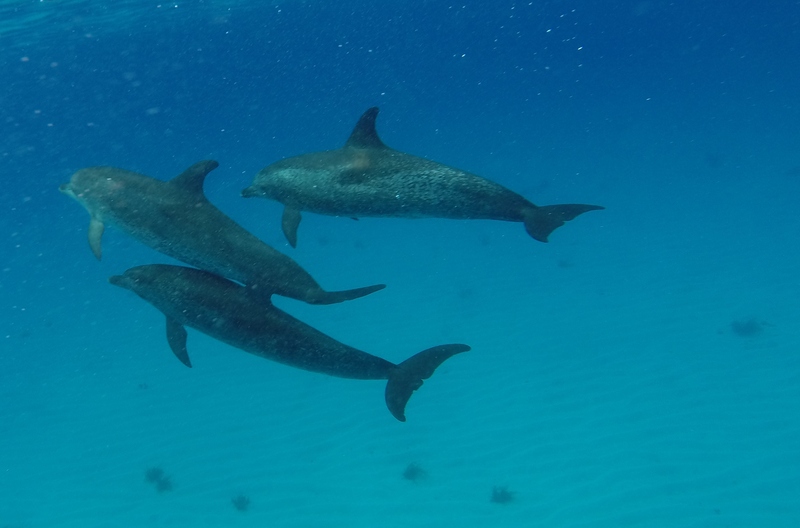 On-board researchers add a great aspect to Wild Dolphin Adventure trips, allowing guests to make inquiries and gain insights into the world of these magnificent creatures. If you are an adventurous soul looking for the experience of a lifetime, a Wild Dolphin Adventure may be exactly what you are looking for. Participants of all ages are welcome. Our friendly crew specializes in kids, families and first-time snorkelers.